ICBM doesn't need much explanation of what it is or isn't. After all, ICBMs are super sizes missiles that blow everything up. Making this mod just about destroying the world right? I would say no but its a mixed story when it comes to ICBM. At the beginning, it was created with the idea that PvP needed a modern addition. Fewer swords, guns, traps, and more bang for your resources. Plus missiles are a great way to tell your enemy you loathe them... or love to see them explode if hate is not your game. Since its creation, it has evolved to support more than a PvP environment. Adding in cargo missile to transport items across the world. Weather missiles to control the climate and condition of the world. Transportation missiles to allow the player to take a one-way taxi back to his base. That is just the beginning of that is to come as the mod continues to evolve. All you need to do is use your imagination to find a use for a nuclear missile. The wiki containing "how to" information will be implemented later. A button labeled "wiki" at the top of the page will take you to the in progress version. If you have an issue click the issue button at the top. As well read our support page for ICBM so to avoid extra time resolving the issue. Fill free to join us on esper.net IRC channels #ICBM or #BuiltBrokenModding. If you have any suggestions you can leave them on our issue page as well. Just make sure to note its a suggestion in the header so not to be confused with an issue report. ICBM II & ICBM Classic? 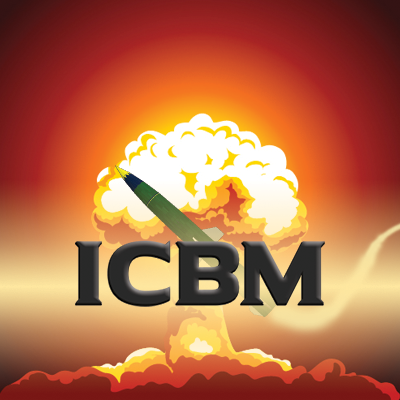 ICBM II is a complete rewrite of the original ICBM (now called ICBM-Classic) created by calcalvia. The focus was shifted to only missiles and modified to mirror realityICBMs. This was done to allow a larger set of features and to expand the gameplay beyond the original. Since this doesn't work for everyone the old version was updated. Both are actively supported and can be run together without no problems.